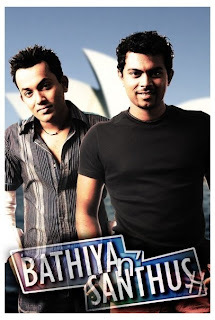 Bathiya and Santhush, well known as “BNS” are a big hit in Sri Lankan music industry. There influence to the Sri Lankan music industry occurred during late 90’s. Since then they have come up with many number of originals which directly influenced the popular music culture in Sri Lanka. Bathiya Jayakody was educated at Ananda College Colombo while his partner, Santhush Weeraman was educated at Royal College Colombo. Santhush comes from a musical family,his brother Dushyanth is also a musician of repute. A Classically trained singer and piano player, Bathiya is the driving force behind much of BNS’ production and arrangement.Anyone who has followed Bathiya’s career closely enough, knows that his true potential unfolds during a live performance. His showmanship on stage is almost theatrical thanks to his ability to tanslate the energy and feeling behind a song into something physical. A Classically trained vocalist and keyboard player, Santhush is the emotional pulse behind the music of BNS. Behid his quiet exterior lies a reservoir of thoughts and emotion. There is one basic principle behind Santhush’s performances – less is more. He has the remarkable ability to inject passion into a live appearance with the least effort. Since the inception of their act in 1998, they have released six albums and had seven Sri Lankan number one singles. 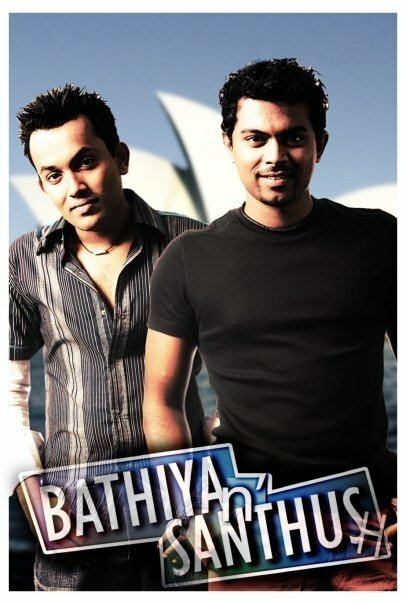 Bathiya & Santhush are one of the biggest musical acts to hit the Sri Lankan musical scene since the 1990s, mixing Sinhala, Tamil and English lyrics in their originals, bringing out their contemporary style and revolutionizing the music industry in Sri Lanka. • First Sri Lankan artists to secure a Music Publishing Contract under "UNIVERSAL MUSIC"
• Composers & Performers of the Official Sri Lankan Cricket Anthem BCCSL. • Covered the Sri Lankan classic 'Master Sir' written by Nimal Mendis to wide acclaim in a concert in Colombo. They were given a standing ovation.